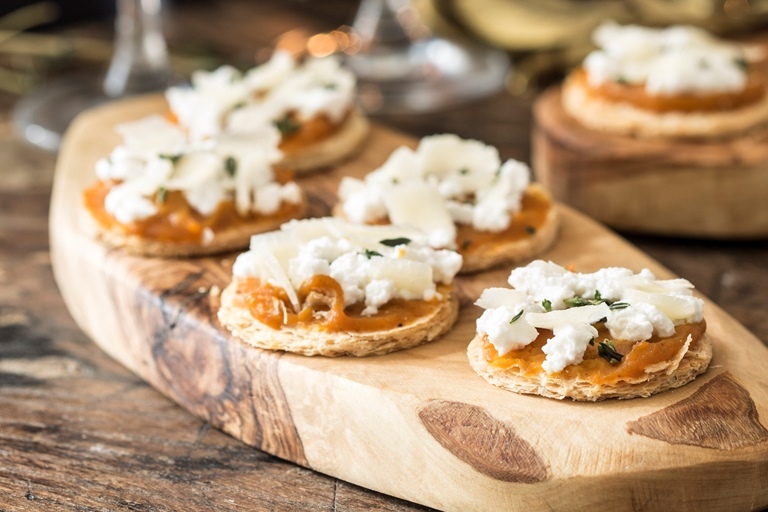 Tom Aikens' mini tart recipe makes a perfect party canapé, with a crisp puff pastry base topped with a lightly spiced, sweet pumpkin purée and creamy ricotta cheese. Autumn and winter are the best times to find pumpkin and squash, and most varieties would work well in these tarts. Tom includes a delicious spiced honey recipe which flavours the pumpkin – it makes more than required for the tarts but can be stored for up to a year if sealed in sterilised jars.